MOVE IN READY! 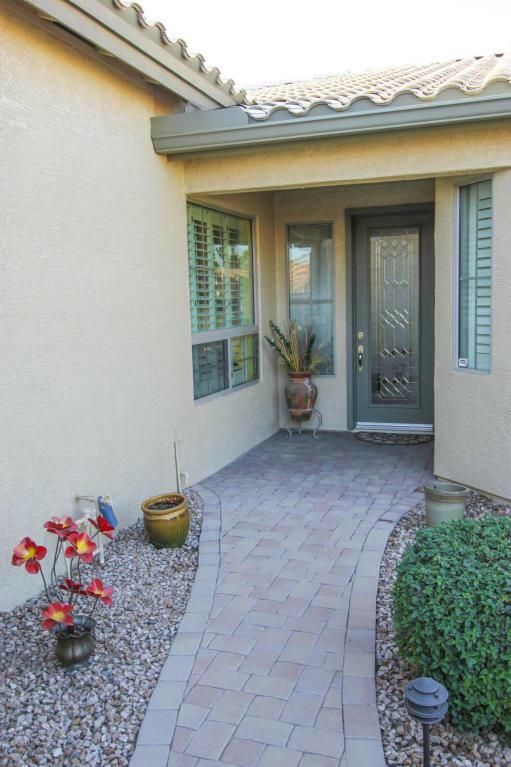 Gorgeous 2 Bedroom + Den Sienna on a N/S Lot in the Gated, Adult Community of Oakwood! You'll love this upgraded home w/ inlaid tile accents, shutters, designer lighting, ceiling speakers, water softener & OWNED SOLAR PANELS/Water Heater. The GREAT ROOM is open to the beautiful EAT-IN kitchen w/ tons cabinets w/ pullouts, GRANITE, black appliances, RO & ISLAND. 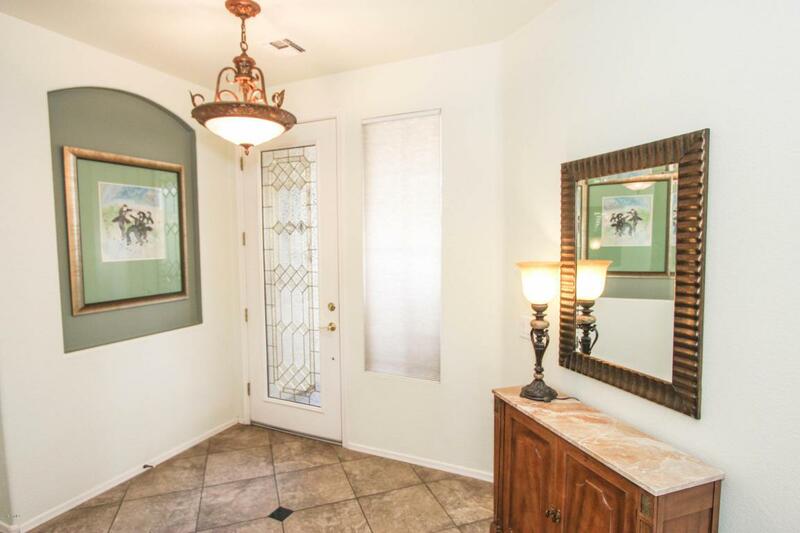 The Master has SEPARATE DBL Vanities & MASSIVE WALK-IN CLOSET! The AZ Room w/ AC offers additional living space for entertaining/relaxing. 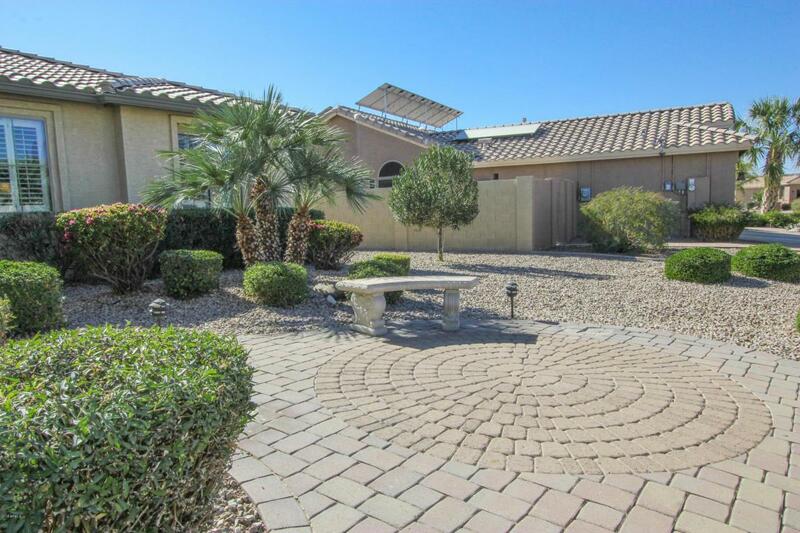 Large, low-maintenance backyard has a BUILT-IN BBQ & Electric Awnings. 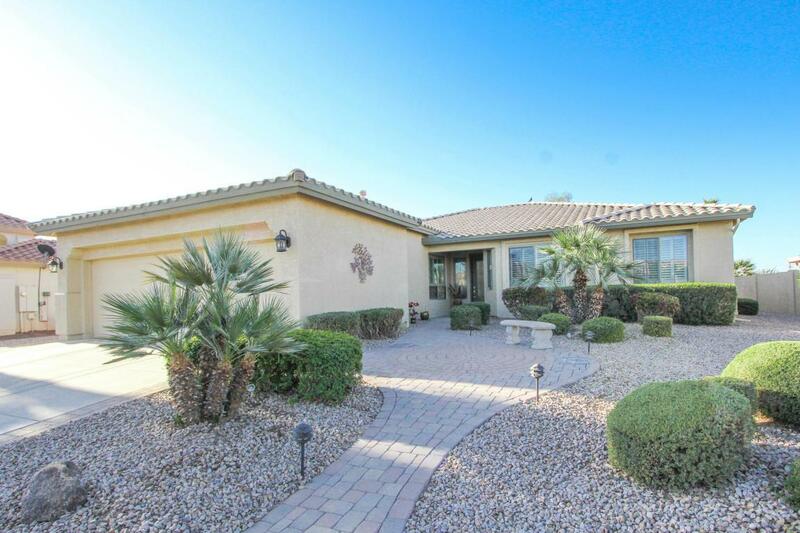 This is such a great opportunity to Come Enjoy the Good Life in Sun Lakes w/ all of its amenities including golf, tennis, pickle ball, pools, fitness center, clubs, social activities, restaurants & so much more!